Islamic State has designs on the holy cities of Mecca, Medina, Jerusalem and endangers Europe and Russia, Vladimir Putin said. Moscow is concerned about IS-trained jihadists returning to EU countries, the CIS and Russia. The situation is very serious, Putin said, adding that Moscow is very worried that IS terrorists are publicly announcing their designs on Mecca, Medina and Jerusalem. The jihadists also plan to spread their activities to Europe, Russia, central and southeastern Asia. "Extremists from many countries of the world, including, unfortunately, European counties, Russia and the Commonwealth of Independent States (CIS) undertake ideological and military training in the ranks of Islamic State [IS, formerly known as ISIS/ISIL]," said Putin, speaking at the Collective Security Treaty Organization (CSTO) summit in Tajikistan's capital, Dushanbe. "And certainly we are worried that they could possibly return." 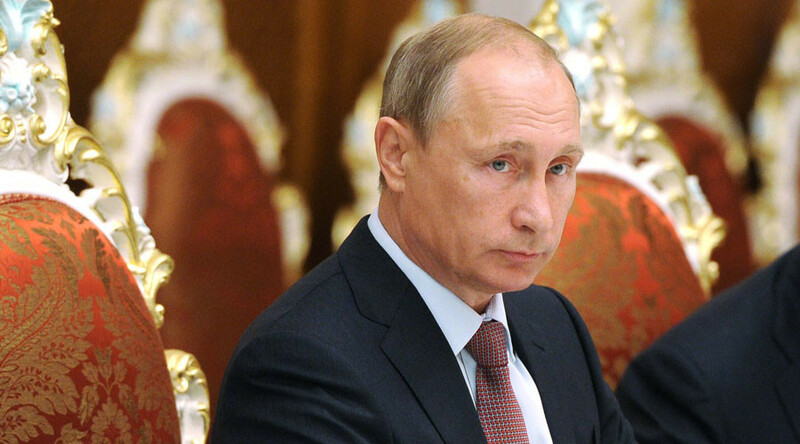 Putin said it’s necessary for geopolitical ambitions to be set aside in the fight against IS terrorists. "Simple common sense, responsibility for global and regional safety require uniting efforts of the international community [to fight] such a threat. It is necessary to set aside geopolitical ambitions, drop so-called double standards, the policy of direct or indirect use of separate terrorist groups for achieving own goals, including removing the governments and regimes." Russia is supporting the Syrian government in its fight against terrorism and will continue its support, Putin said. "We give technical-military support to Damascus and will continue doing it," he said. "And we call on other countries to join us in this." Both Bashar Assad’s government and the opposition forces should unite to battle the jihadists, Putin stressed. "Now we have to unite the efforts of the Syrian government and the Kurdish self-defense forces and the so-called moderate opposition, and other countries in the [Middle East] region to fight the threat to Syria’s statehood and terrorism." Russia is calling for uniting the efforts of all forces eager to fight terrorism, said the Russian leader. The activities of the IS jihadist group go beyond Iraq and Syria. The Russian president mentioned that the militants’ influence is also spreading in another war-torn country in the region - Afghanistan. "Unfortunately the situation in the country [Afghanistan] is degrading after the withdrawal of most foreign troops," Putin said, adding there is a real threat that terror groups from neighboring countries may infiltrate the area. Putin once again dismissed the accusations against Russia claiming the recent influx of refugees in EU countries was allegedly prompted by Moscow supporting the legitimate government of Syria. "People are fleeing Syria, first of all, because of military actions … from atrocities of terrorists – we know they are committing brutalities there, and destroying cultural heritage. "If Russia had not been supporting Syria, the situation in the country would have been worse than in Libya and the refugee flow would have been even bigger," Putin said. He added that it was not Russia who destabilized the situation in such countries as Libya, Iraq, Yemen, Afghanistan and other regions of the world. "It was not us who destroyed government institutions there creating the power vacuum, which is immediately filled by terrorists," he concluded.